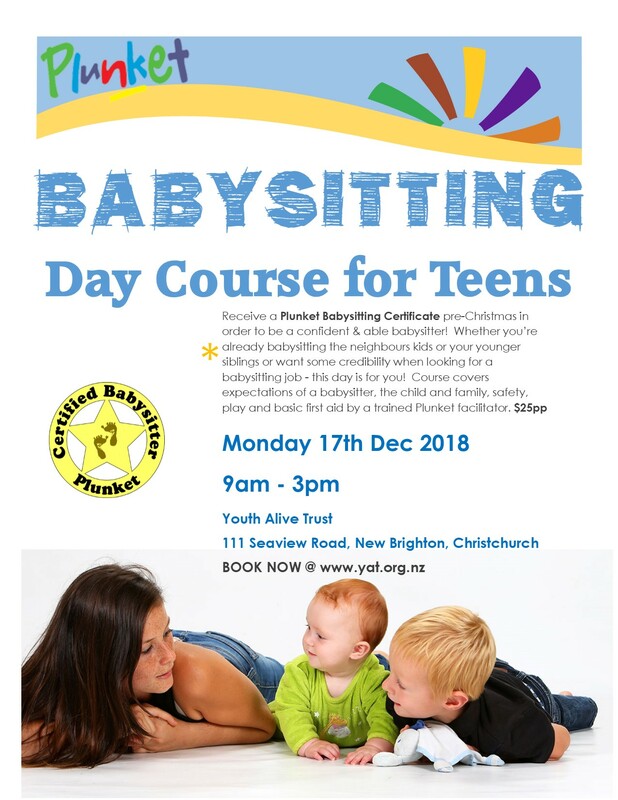 Whether you’re already babysitting the neighbours kids or your younger siblings or want some credibility when looking for a babysitting job - this day is for you! Course covers expectations of a babysitter, the child and family, safety, play and basic first aid by a trained Plunket facilitator. Sign-Up Now for the Teenagers Babysitters Training Course in the next school holidays: Monday 23rd April 2018, 9 – 3pm at 111 Seaview Road. This is the first Monday of the second week of the school holidays. $25 per person paid after you register online.